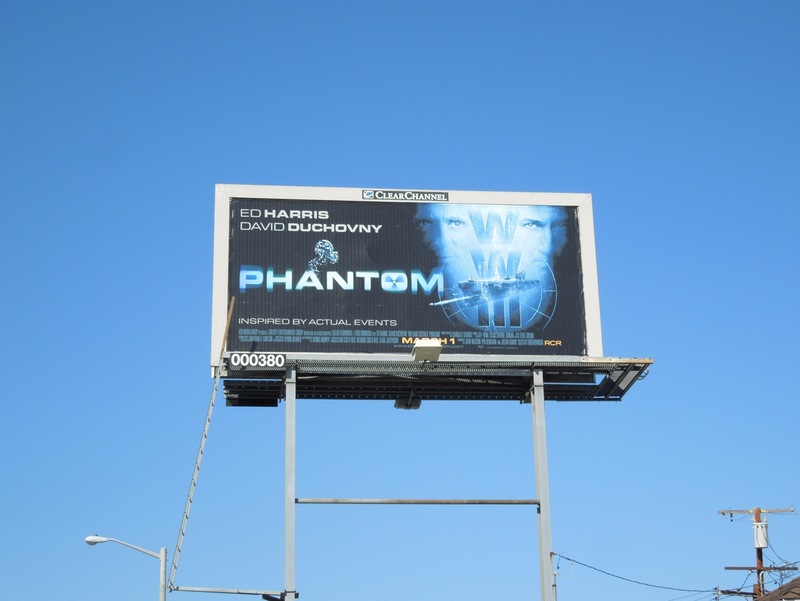 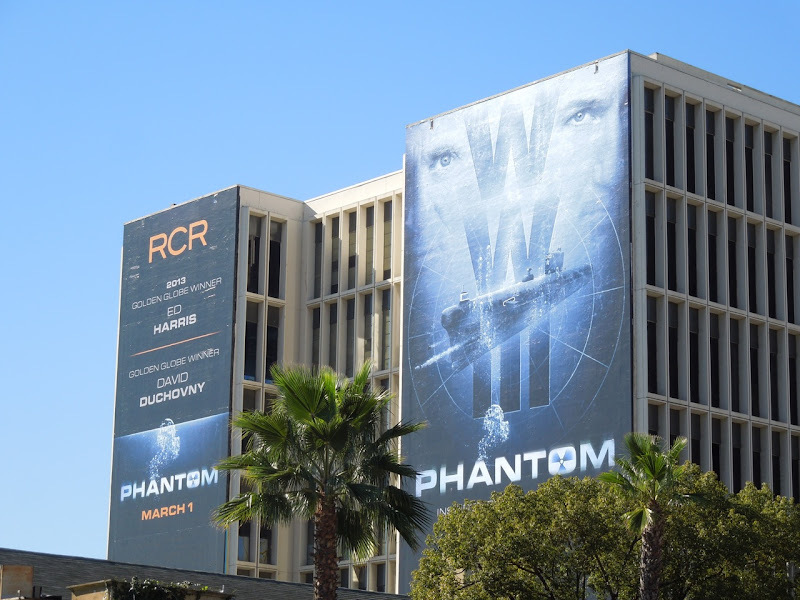 Don't let these billboards for the new movie Phantom confuse you, it doesn't involve the pulp superhero crime fighter 'The Phantom', the film is actually more reminiscent of the submarine thriller, The Hunt for Red October. 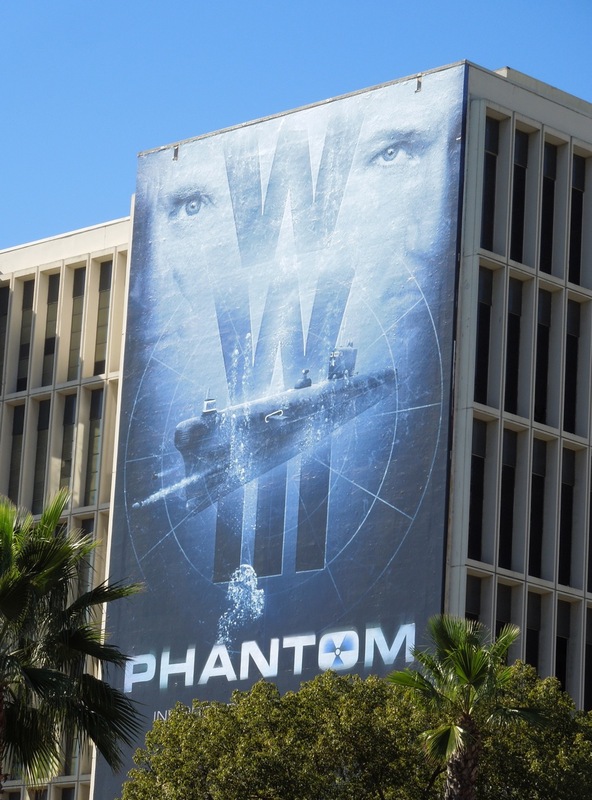 A submarine captain holds the fate of the world in his hands when he and his crew embark on a covert mission cloaked in mystery. Ed Harris and David Duchovny provide the star power and go head-to-head in this tale of mutiny underwater. 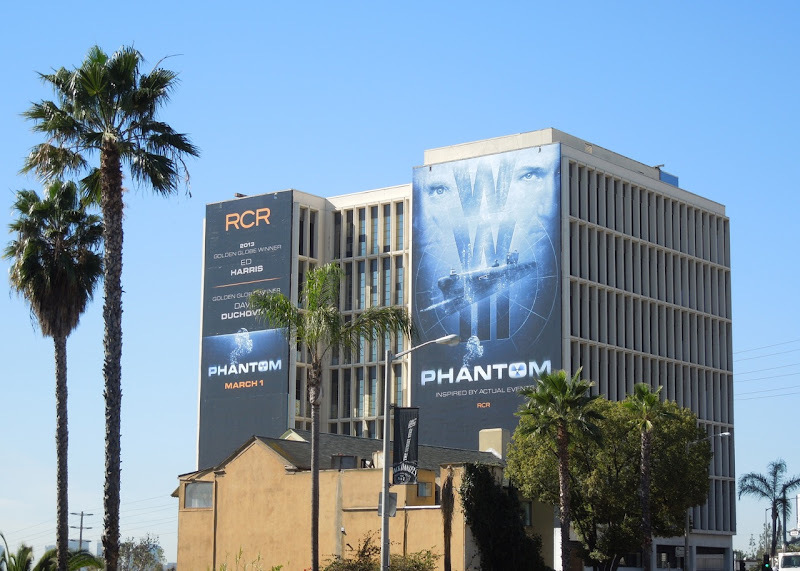 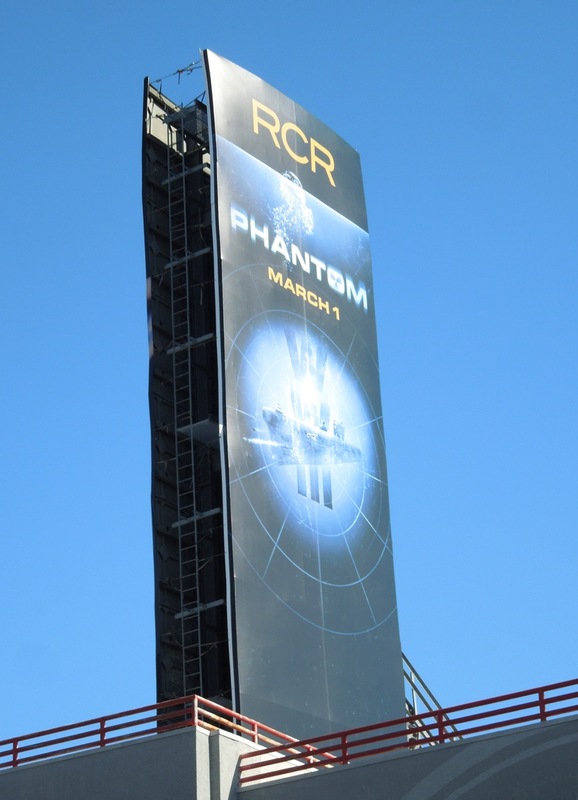 These giant-sized billboard for the movie were snapped along L.A.'s Sunset Strip on January 31, 2013. 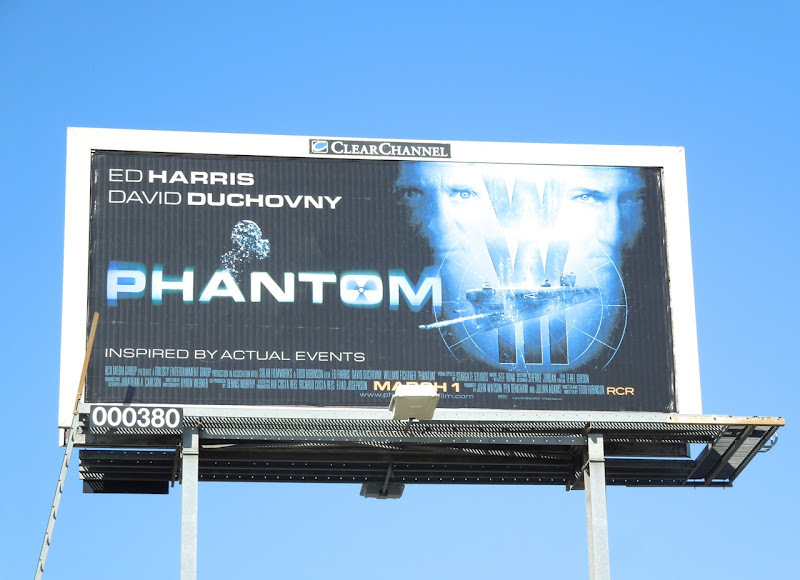 If you're a David Duchovny fan, be sure to also check out these billboards for his Californication TV series. 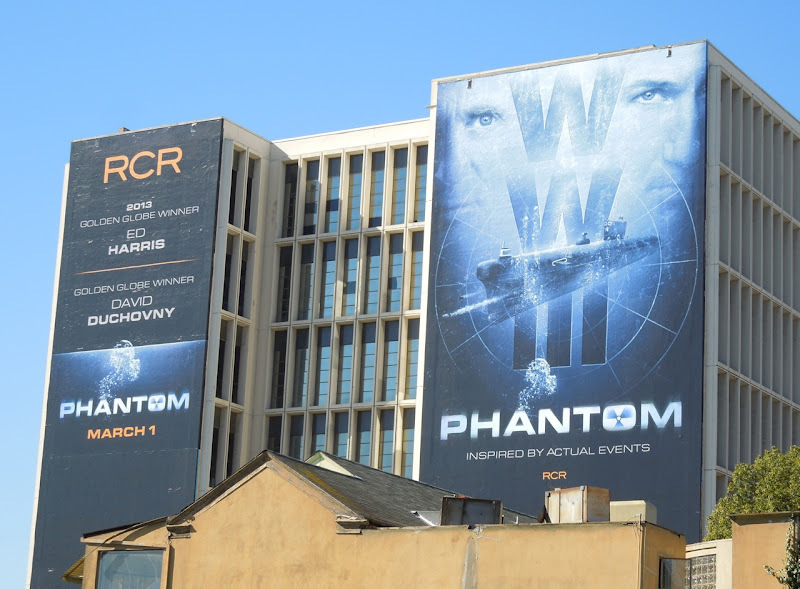 UPDATED: Here's some additional support for the new movie spotted around the streets of L.A. 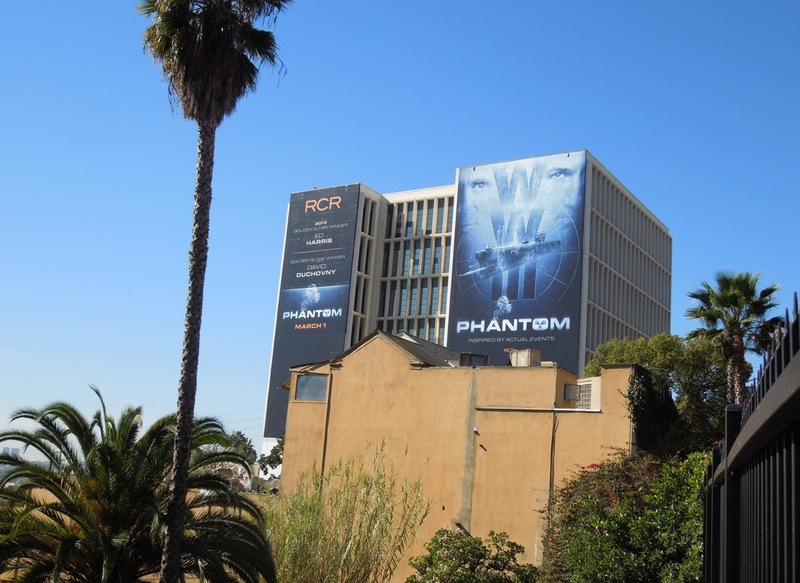 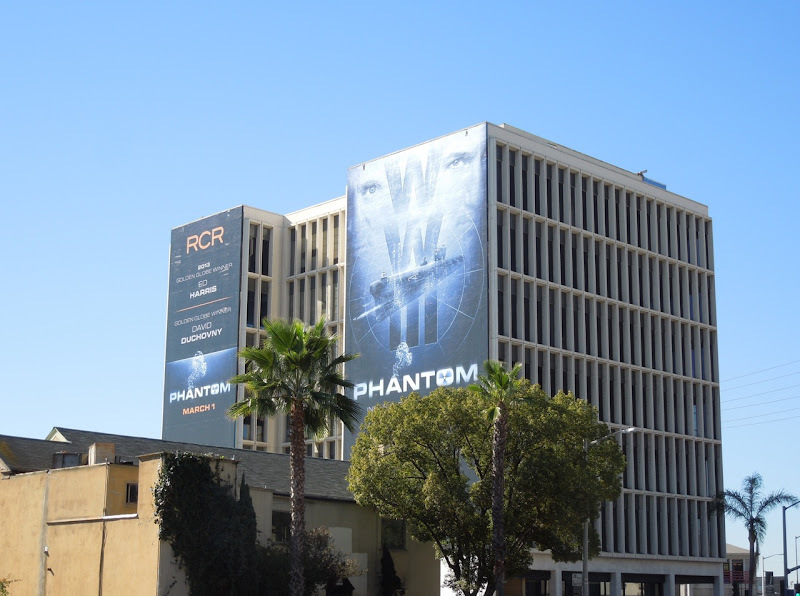 This small billboard was spotted along Fairfax Avenue, whilst the tall vertical billboard spied along Sunset Boulevard on February 11, 2013.